The researchers, from UTS Institute for Biomedical Materials and Devices (IBMD), believe this discovery removes an obstacle to further improvements in resolution and sensitivity in areas such as display technologies, security inks, and bio-imaging, with the potential to stimulate manufacturing innovations in Australia. 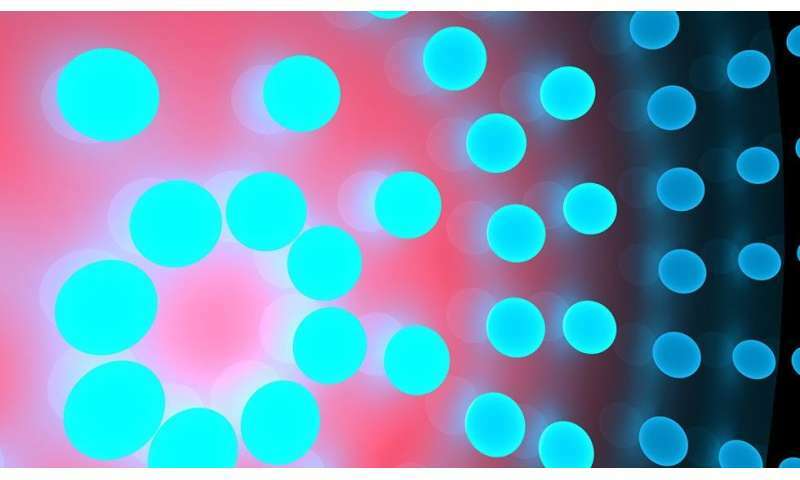 To overcome the quenching that dims the brightness of ultra-small nanoparticles, the UTS physicists developed a new type of nanoparticle called "thermal dots". By harvesting heat and thermal energy, and converting this energy to more light emissions, the researchers demonstrated a 1000 fold increase in the brightness of the nanoparticles. Published in Nature Photonics, lead author Dr. Jiajia Zhou from the UTS Institute for Biomedical Materials and Devices (IBMD), says this discovery "allows us to demonstrate the smallest thermometer, only 10nm smaller than the size of a single molecule, to measure the nanoscale localised temperature changes using light." Professor Dayong Jin, Director of IBMD, says that as the demand for smaller devices with more and more integrated functionalities grows, so too does the need for smaller and brighter "building blocks" for these technologies. "However nanoparticles have a 'tricky' surface layer that is very challenging to understand," Professor Jin says. "The smaller the nanoparticle the larger the surface area, and below 10nm the huge surface to volume ratio results in a dark layer that is optically inactive. "We discovered that this dark layer is sensitive to temperature allowing us to find a new way to activate the intensity and prove that nanoparticles below 10nm can still efficiently fluoresce," Professor Jin says. 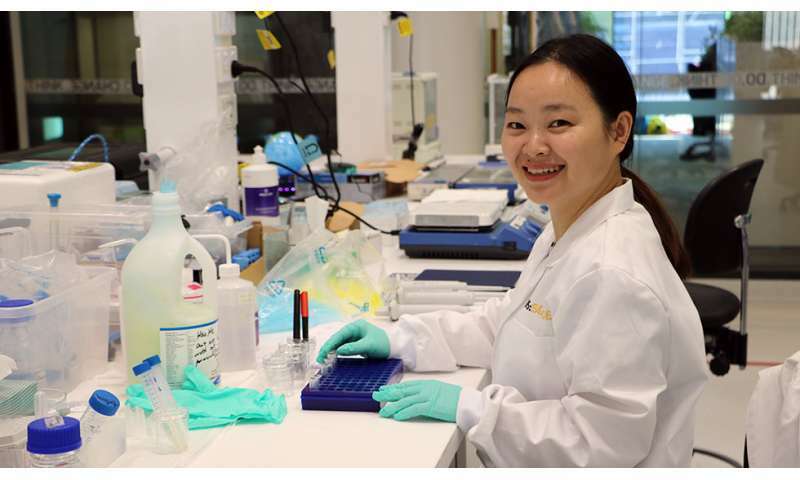 Dr. Zhou, who received funding for this project from the Australian Research Council as a DECRA Research Fellow, shows that the thermal dots can be used to make security inks for fraud detection and anti-counterfeiting applications. "This discovery also highlights the potential for new types of nanosensors for early disease diagnosis, including highly sensitive nanothermometers that can provide a non-invasive way to answer many biological questions at the nanoscale, such as how cells develop and differentiate in cancer," Dr. Zhou says. "The potential for this approach is very broad and could also be applied to significantly improve the efficiency of organic solar cell films and light displays that use micro LEDs."